Love month is by far my most favorite holiday (next to Christmas that is)!! Many of you readers already know but we welcomed our 4th bundle of joy to our family just 3 weeks ago so this year we aren't going all out as usual but we are still doing some fun things to celebrate. Have a love party with some friends and don't forget to have some photo booth fun! You need something to put those awesome Valentines in why not make a monster box with the kids. 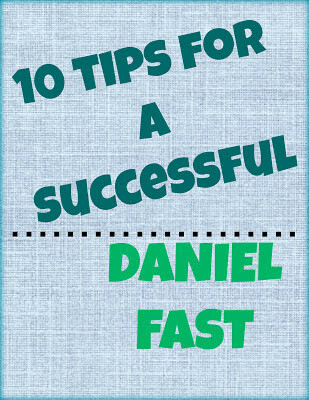 And don't skip out on the chocolate goodness. Try these delicious chocolate brownies. 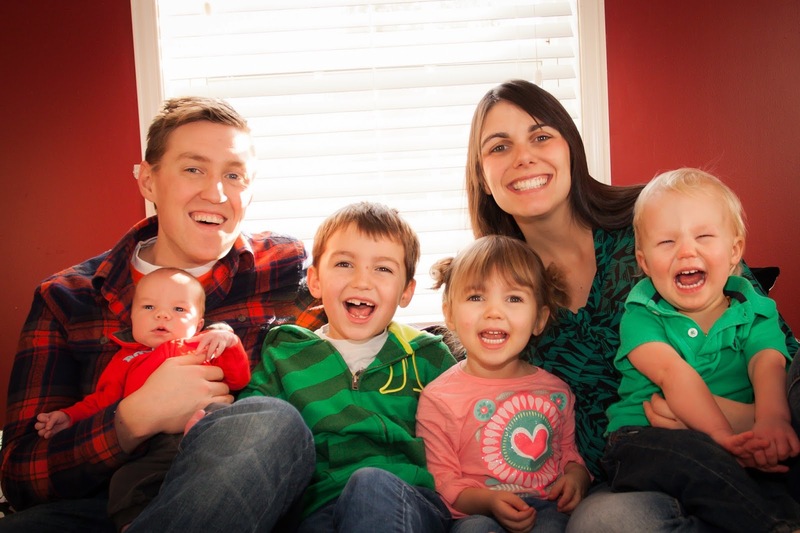 Once again this year we will be dressing up the family to share in our Peterson Love day feast in our own family restaurant. This year Lady J gets to pick so we are going Strawberry Short Cakes Cafe and enjoying a waffle bar. I do have something new to share with you for this year that is a delicious snack and could even be packed in your kids school lunches some time this week as a extra special treat. This snack is so simple to make. 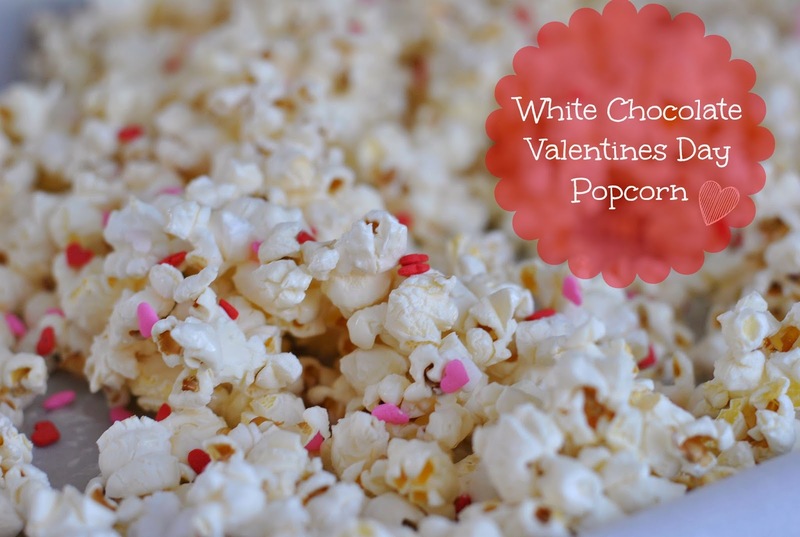 All you need is air popped popcorn, white chocolate (melted) and some valentines sprinkles. While popcorn is popping melt your white chocolate in the microwave. When popcorn finishes place in a bowl and drizzle with melted white chocolate. 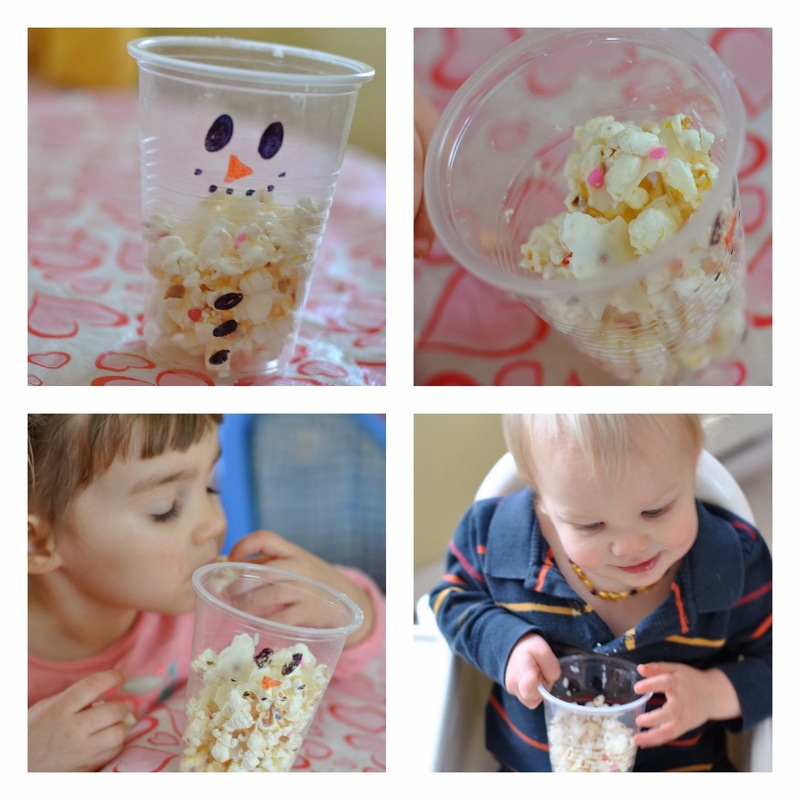 Sprinkle your valentines sprinkles over the popcorn and shake or stir until coated. Then spread your popcorn on a cookie sheet that has been lined with parchment paper and wait for it to cool. Everyone enjoyed this delicious treat very much. This week we will try to celebrate LOVE month as much as possible. 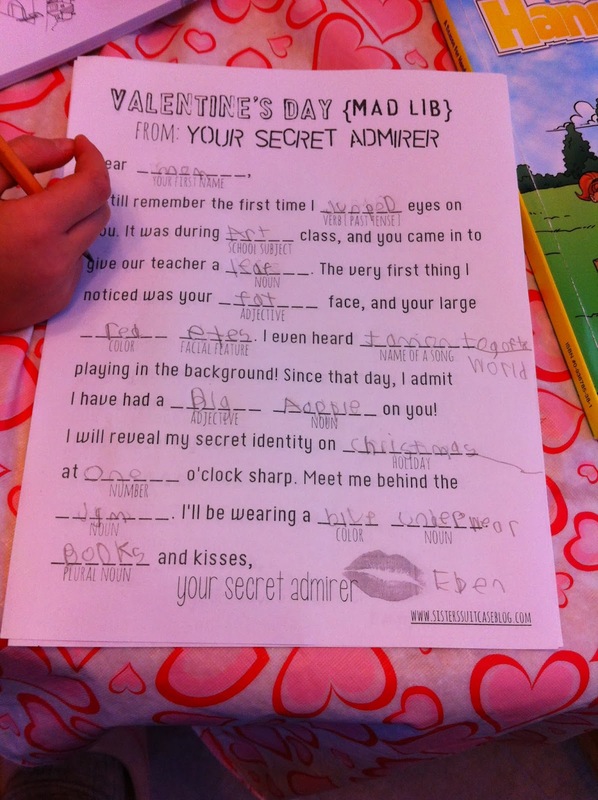 For more ideas you can check out my pinterest board and just for laughs here is the valentines mad lib we did in school today!